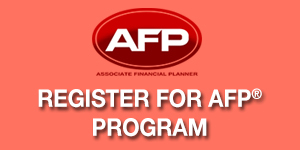 Registered Financial Planners Philippines is the premiere professional body of financial planners in the Philippines. 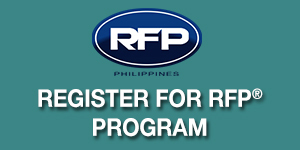 RFP Philippines promotes the value of financial planning and advances the financial planning profession. Registered Financial Planners combine people skills and technical skills. They are trained, competent, and experienced in financial planning, investment planning, insurance planning and tax planning. They do care about their clients' financial goals. "The program is very comprehensive. I learned a lot regarding personal finance. Speakers are one of the best in financial services industry. 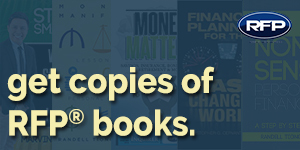 Highly recommended to any professional who wants to improve financially"
"After attending RFP, I am now confident to talk to my clients and offer a holistic approach w/ regard to financial mgmt. Speakers are so brilliant!" "The RFP Program provided a comprehensive foundation to build knowledge on diverse financial topics. The range of specialist was very helpful and speakers were not only knowledgeable, but engaging. RFP Program is highly recommended. " "A great knowledge investment. It covers all the topics that needs in a life cycle. All the speakers are expert and has a good humor. Will surely recommend RFP program to my friends." See the Registered Financial Planners tackles the different issues about Personal Finance and Financial Freedom.